CI Paints Blog...New and Exciting Changes!! The Blog posts will now be daily-Monday through Friday a design team member will showcase different ways to use the Creative Inspiration Paints. We have a new and exciting mix of designers- from cardmakers to scrapbooking- lots of great inspiration in store for you! 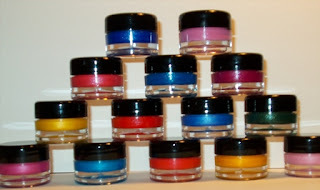 Kassi will be doing tutorials every Saturday- she has great ideas for using your CI paints. Challenges will be every Sunday- you do not have to have CI paints to join in- and you will have the chance to win CI paints! All of the DT links are on my sidebar- come say hello! Don't forget to link your cards/projects linking your Creative Inspiration paints to the CI blog- we'd love to see what you are up to with the paints. Our Challenge for the Creative Belli Blog is to USE NUMBERS on your project. The Belli goal is that you will use your old and forgotten crafting supplies on your project. It is the season for Cross Country! 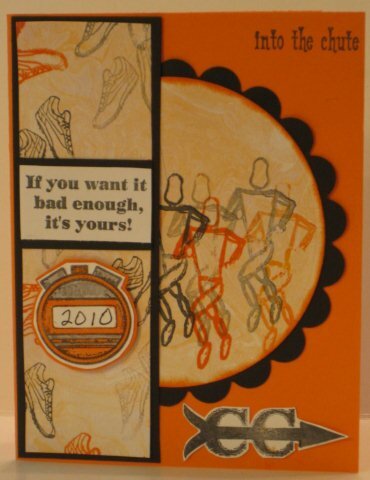 My daughter Stephanie is a Senior in High School and is a Cross Country runner. Tonight after their meet, we celebrated Senior Parent Night- it was a happy moment- we are so proud- and a sad moment- it will be our last……. I made Stephi this card. 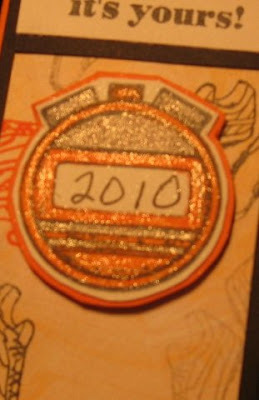 Here is a close-up of the numbers (I used the year) and the glitz. I used a new Technique Junkies technique Marbled Smooch and Triple Dimension. I stamped on Paper Temptress cardstock that is shimmery to begin with. The stop watch is colored with Copic Spica pen. I am assuming you guessed the school colors are Orange and Black. The Stamps are from Firecracker Designs by Pamela. The FCD store is closing- and these stamps will be on sale 10/1. Pamela is selling out of all Red Rubber and clear stamps. These stamps are the first I purchased from her- Cross Country Stamps are really hard to find- FCD has two sets Cross Country 1 and Cross Country 2. Be sure to visit the Creative Belli Design Team Member's blogs to read more details about their designs. You will find lots of awesome ideas!!! If you upload a card to Splitcoast , PCP, Stamp TV or another online gallery be sure to add CBC101 in the keywords section. 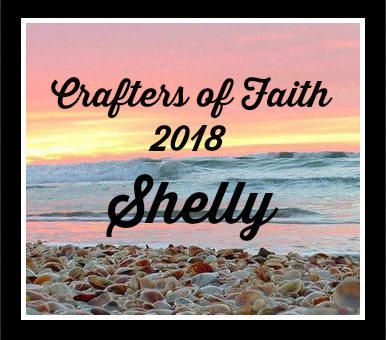 Well, I have been getting my MoJo lately from Challenges…… I found an awesome Challenge at Stampin Sisters in Christ- make a card with a Peace symbol or theme and at Sentimental Sundays to make a card with dimension. Well, there are a few other challenges in between- I will list them later…….. This is a card for my co-worker Mini. She is a proud mother of a soldier who is currently in Afghanistan. 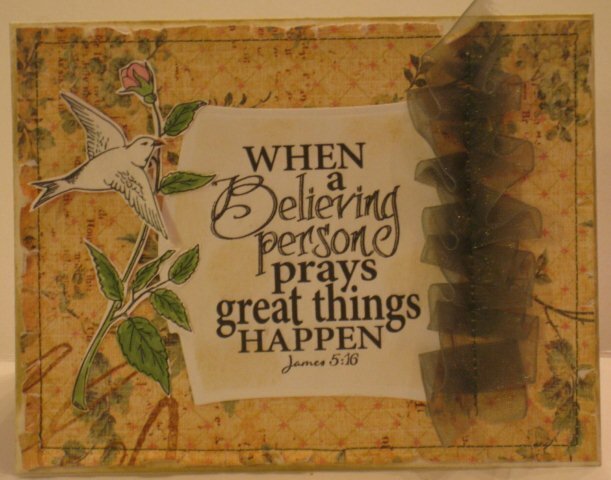 She is also very faithful and immediately when I saw this image at Create with TLC, I HAD to have it and make her this card. 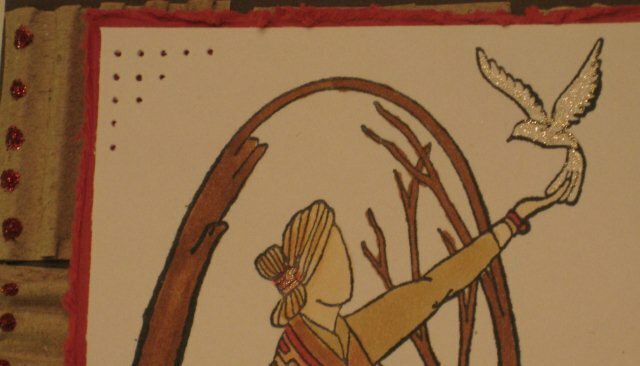 I sewed around the edge of the card and distressed it, then added some Distress Ink around the edges. I also sewed down some ribbon- gathering it as I went along for dimension. I think Mini will like this. Thanks for stopping by- please consider making a card for a soldier –and/or saying a prayer for a soldier and his/her family. So, I did random.org again- Glennis gets everything but the stamps. 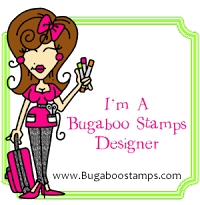 I have not played along with the Featured Stamper in ages! This week, the featured gallery is Sallie. I found THIS card to inspire me. Can you see how I got the snowflake idea??? I also wanted to try the MoJo Sketch #157 this week. I also took off on the Blue theme of Sallie’s card. 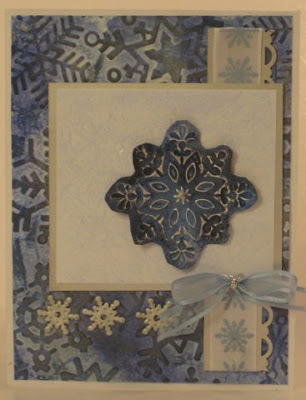 The background is Cuttlebug highlights- I highlighted the embossed area first with Brilliant Blue- too bright….I added Not Quite Navy- and then added Silver Metallic rub-on paste to tone it down a bit more. 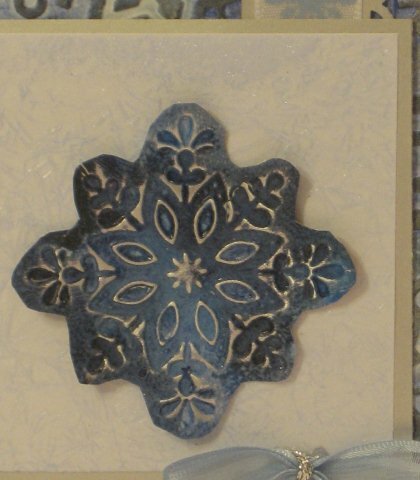 The next layer is Ice Crystals- another Technique Junkies Technique…… I played with a Soda can for the snowflake- I embossed it with a Sizzix snowflake I have, added Alcohol inks and sanded it. I trimmed around the raised areas (instead of leaving the square). The brads were white- so I painted them with Silver Creative Inspirations Paint. I added a strip of Silver Metallic punched on one side and some Target $1.00 snowflake ribbon. I used Red Stickles on the edges of the cardboard squares. I added shimmer to the bird and the hair tie using a Sakura Stardust pen. I colored the image with Copic markers- using a monochromatic/neutral theme plus one other color for the Gingersnap challenge this week. To see what the other Bloggers Challenge players came up with for the theme, Here is the Bloggers Challenge link. Corrosive Challenge-Use Unused Craft Stuff- Corrugated cardboard, Sakura Gelly Pen has been pretty lonely too! Want some Martha Stewart ‘stuff’??? 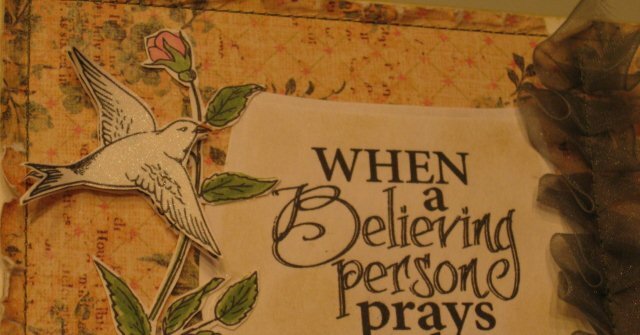 I am always sorting- and have some Martha Stewart stickers (gold birds and butterflies) , stamps and Calligraphy pens I will never use plus a metallic pigment ink…… Want them??? Leave me a post with a, “ Yes, I do”! I will draw a winner on Sunday at dinner time and hopefully can get them in the mail Monday if the winner responds right away. FYI-If you are a follower of my blog and you live outside of the US, yes, I will ship to you too! Stock Update: These sets have sold out: Chicory, Heritage Boys, and Sitting Pretty, curly bird, turtle, elephants on parade, BE Susan, Italiano, Those were the days, and Crazy for paisley. We will start an inventory blow out October first. Once an item sells out I’ll remove it from the store, keep in mind I work during the day so you may end up ordering something that is gone already. If that happens I’ll refund you asap. The last day of sales will be Dec. 15th. This week at D2D (designed2delight) the digital image is a cute cat hiding behind a pumpkin. I used DSP from K&C Company for the background- I stitched that onto the base with Silver Metallic thread on my sewing machine. 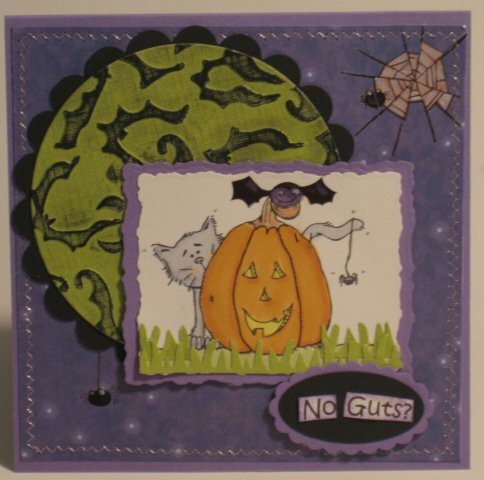 Next, I used my new ‘bats’ Sizzix folder on a bright green cardstock, and highlighted the bats with a black stamp pad. 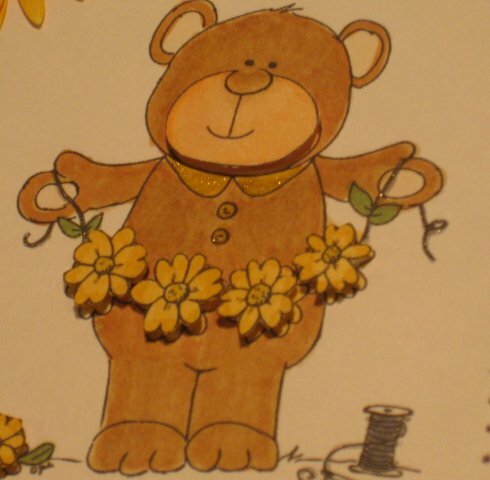 I used a a deckle Nestability for the image which I colored with Copic markers. I used Creative Inspirations Paint for the yellow ‘insides’ of the pumpkin so it would be shimmery. I added glitter rub-ons by Momenta for the bat, the spider and the spider web. I added a computer generated sentiment- No Guts? Fir my next cars, I used another D2D image for a card to send to Operation Write Home. 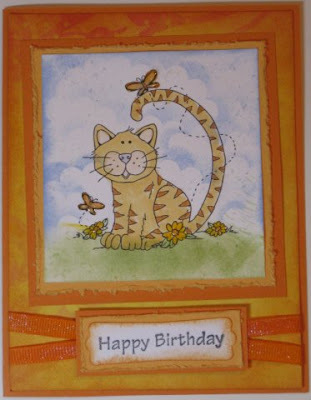 You can read about OWH at the above link- they are celebrating a birthday and there are TONS of challenges to make cards for soldiers (and many companies are offering Free Digital images too). I used the OWH Stars and Stripes Sketch for my CAS card. The card is also for the Double Delights challenge- use a D2D image for the OWH cause- you get a FREE digi when you play along. My Blogging group from SCS has a Challenge Blog going- I participate when I can- but TODAY is special- Firecracker Designs by Pamela (I am on Pamela’s DT) is sponsoring the challenge HALLOWEEN this week on the STAMPS R US Challenge Blog! Join us in the next two weeks and you will have a chance to win free digi’s from FCD. The Nestability was cut out three full times for the card, but for the back I made a template and only needed a portion of the nestability for the sides. After I made the template, I cut the back out of white cardstock. I then scored the white portion of the card down 3/4” and used adhesive to put the front and back together as seen below. 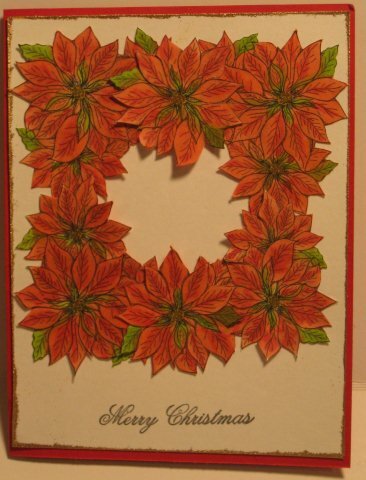 The cardstock has a sparkle in it- Orange and the Green , well– it is wonderful!!! It is called Mini Sparkle and I got it in a package with 7 different colors. There's no Place Like Home it the theme for the FCD Blog Hop this weekend. 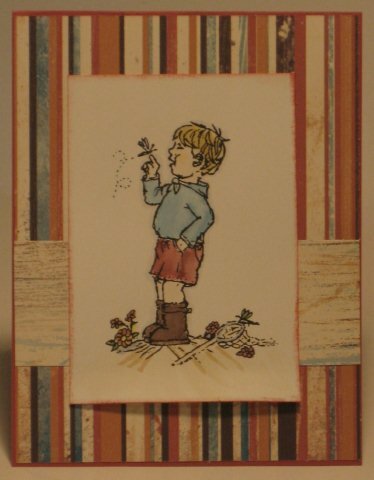 Make a card with a House template or a theme of 'Home'. I always love the festivity of Holiday decorations- especially being greeted at the front door with a nice festive wreath! Image HERE is a digi and is colored with Copic markers. The sentiment is from THIS clear set. This Blog Hop is circular- if you follow the links you will end up where you started. If you comment on each stop, you will be entered to WIN a free set or free digital images. The official Hop starts at 8AM Friday 9/17 and ends 9/20. Check back to Pamela's blog to see if you are a winner! Just an FYI- Sadly, FCD is closing . Look for a Blow-out Sale beginning October 1st. If there are any stamp sets- red rubber or clear you really want- get them while they are still available. Digi's will NOT be included in the sale. I have been wanting to do a Gothic Arch card for ages- so I decided this is my book! I do not have any architecture type images…so I finally decided on these unique stamps I just found at a used stamp sale- retired SU. 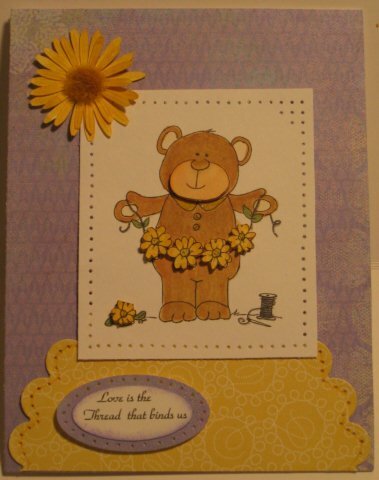 This is probable one of the most unusual cards I have ever made……. I love the way the Beige Creative Inspiration Paint matches the Cappucinno cardstock so perfectly! I painted the white edging trim with the beige, and then coated the headpiece with it, pus added cream highlights as well. Denim is very similar to SU Night of Navy- a touch less dark. Gingersnap has a challenge with a theme Ancient Ages- I think this card fits that bill!!! 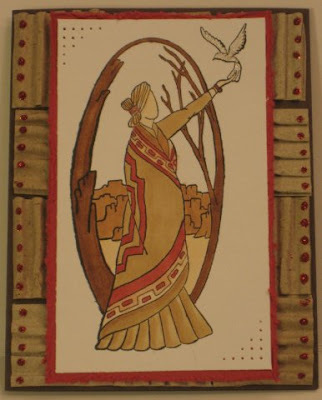 For the Creative Inspiration DT samples of Book Inspired Projects (posting Thursday 9/16) - HERE is the link to the Creative Inspirations Blog. If you have made a card with CI paints, please stop by and link your card (upper Rt corner)- we would LOVE to see what you are up to! 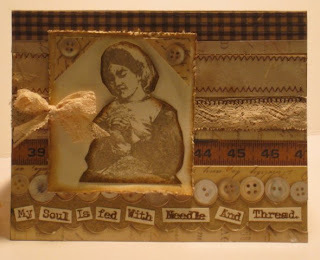 Button stickers and lace Bows…..The sketch is from the MoJo Monday challenge blog. I found some old sewing stickers and Die Cuts- I bet they are 8-10 yrs old….. (Maybe I will have to start dating my packages when I bring them home…..)…. 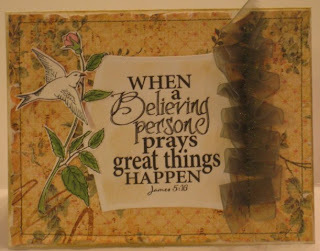 I stamped on Vanilla CS and used Frayed Burlap and Brushed Corduroy inks. The stamps are from I Brake for Stamps (Time to Stamp). 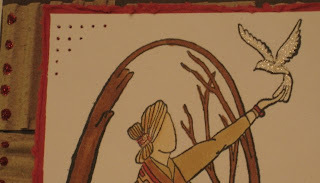 There is a row of a TJ technique called Aged Parchment that I Zig-zagged on with my sewing machine and a row of off lace that is ‘pin-stitched’ in place. For more inspiration, click on the DT names above their project samples on the Belli Blog. If you post to an online gallery, please use the link CBC100. The challenge lasts for two weeks. 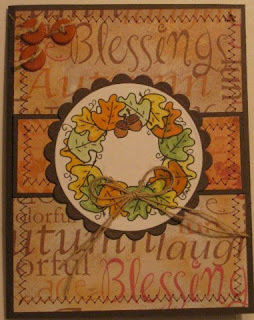 Today the Bloggers Challenge is a Fall theme- I like working with Fall colors alot. I used two different digi’s and taught myself some new digital ‘skills’ in my Paint program (getting smarter everyday- LOL). 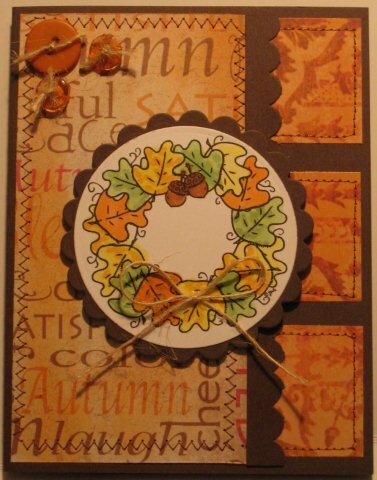 This is the free digital image from FCD (on the LT) and a fall digi (Child of Fall) from the store. I flipped the Child of Fall digital image and removed the border and the words. 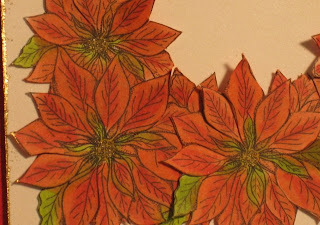 I also figured out how to crop out a section of leaves, and that is what I used for the leaves on the side of the card- the sketch is from Card Patterns Sketch 80. I colored the image with Copics- I added Crystal Effects to the apples and Copic Spica to the rake. The Green panel is a Double Bugging technique- I learned from the Technique Junkies. I had my twine out still from the SCS Ways to use it challenge, so added some of that as well. The next two cards I quickly made up with some DSP that I purchased at the Wilton sale- coordinating colors Sage and Buckaroo Blue. (And, more digi editing…….) 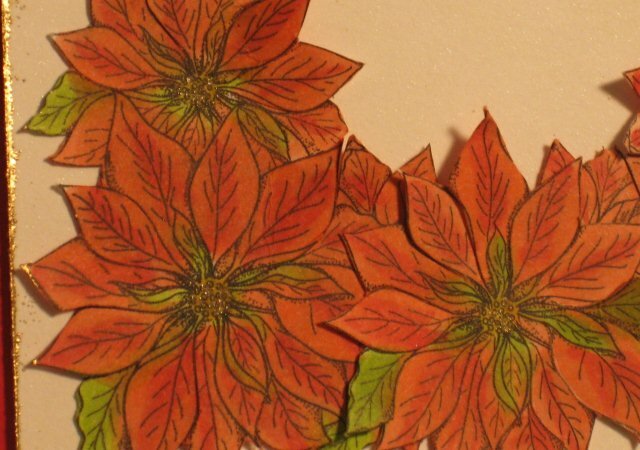 No words, no border…..
Mark’s Finest Papers- use 5 of something- card #1 has five sets of leaves cut out (3 on the side, 2 on the sentiment). Cute Card Thursday-play on words card #2- Fall Leaves me Happy! Whew! That’s alot of challenges for my three cards! I made three cards with the D2D image this week. (Those who play with the week one freebie get next week's image FREE)...the image is now available in the store. I printed out the freebie in 2 different sizes- two of each image, and cut up the 2nd image for the Level Up by the Technique Junkies. I used the MoJo Monday Sketch. 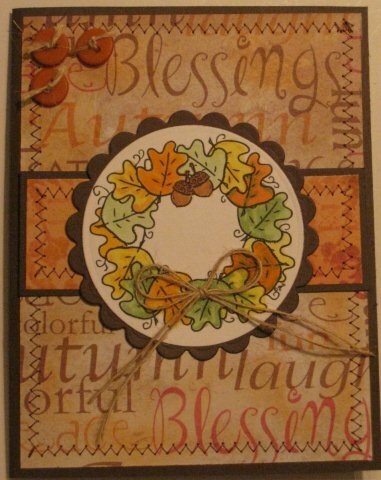 Pile it on -layers- the middle card has 6 layers! This week the Creative Inspirations Design Team A has been challenged to make a monochromatic card with ribbon or lace. I combined the CI paint challenge with this week’s D2D (Designed2Delight) image which is a cute cat. 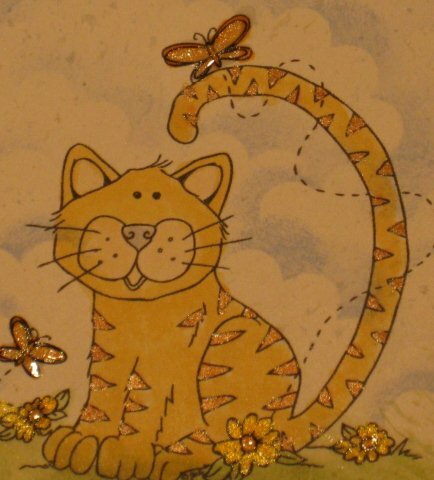 I also highlighted the flowers with Buttercup CO paint and the butterflies with Fairy Dust. I added a little Crystal Effects over the paint on the butterflies and the middle of the flowers. I also added glimmer to the Pumpkin ribbon with Angel Dust CI paint. Perfect Birthday card for my little niece who adores cats! Do you love Creative Inspiration Paints but do not want to be on a Design Team??? 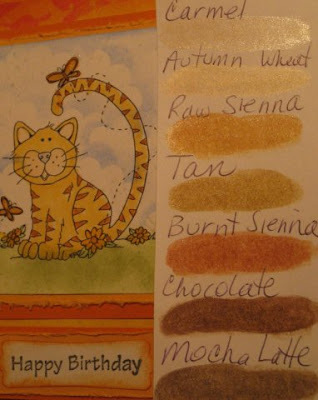 Please go to the CI blog and link the cards you create on the upper Rightt side of the blog-we would love to see how you are using the paints. You can view the CI cards made with the Monochromatic theme and ribbon or lace all in one place on the CI blog every Thursday. 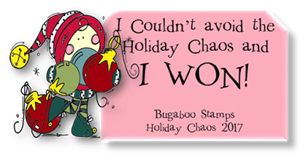 My very first Stamping party was a Stampin Up event, and I came home having ordered the set Nice and Easy Notes. I think that EVERYONE that stamped back in 1998-1999 has to own this stamp set! 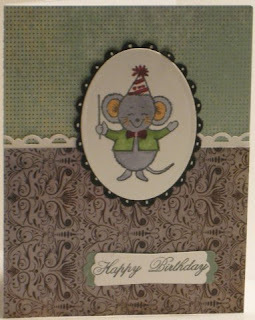 Our Challenge at Creative Belli Blog this time around is to use an ‘Old"’ stamp. The premise of the Creative Belli Challenge is to use your old, possibly forgotten supplies. I did use my Copic markers to color the image- I used G20, G40, YG63, RV32, RV34, E25,E31, E33 and just a touch of Copic Spica pen on the bow. I used a TJ technique called Out of the Box and Level Up. 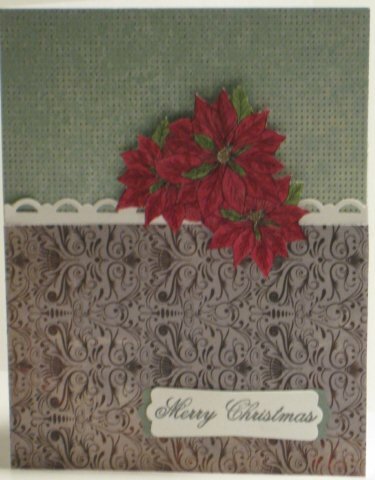 Oh- and the crimper that has been forgotten- well….I used to find a way to crimp something on a card if I could, so I just had to add it in! 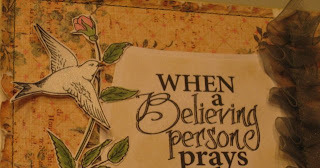 Please stop by the Creative Belli DT blogs to see all of their old stamps that were put to ink for this challenge- links on my sidebar or on the Blog-link above. And, we would LOVE to see what you have created-please join us- you have two weeks to create!